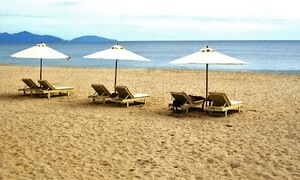 At the northernmost point of Vietnam, people still live in harmony with nature and away from the claws of urbanization. 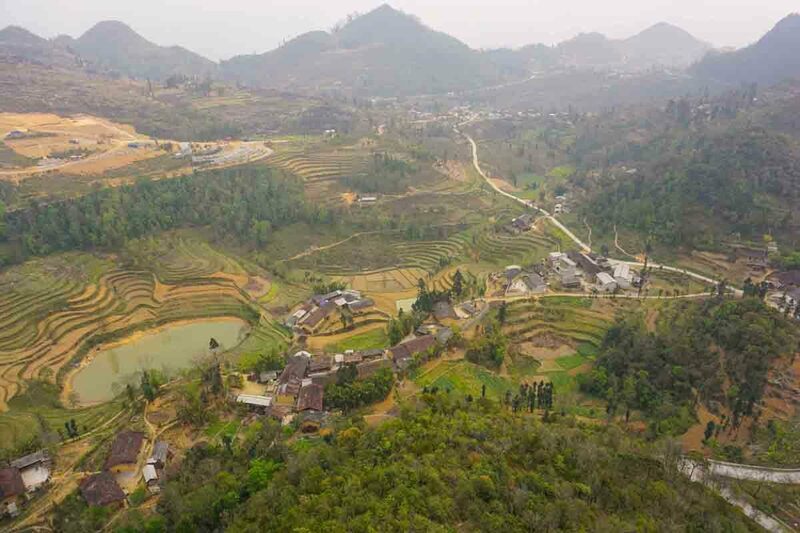 Of all the rising stars on Vietnam's tourism map, it is no exaggeration to say that Dong Van Plateau up in the northern province of Ha Giang is one of the few destinations to have remained authentic. This is Thien Huong Village in Dong Van District, home to Tay ethnic people. Big old trees will welcome you at the village gate creating the impression you've entered the lost realm of the Smurfs. For anyone who wants to escape the tourist trap, Dong Van will not disappoint. 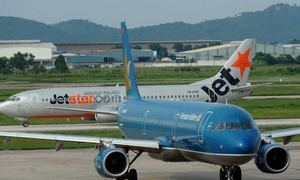 But you should also keep in mind that it is not easy to reach. Be prepared to negotiate long twisting sections of road, especially over Ma Pi Leng, one the four most dangerous passes in Vietnam. 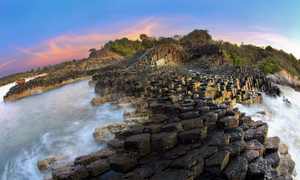 What you get in return is a peaceful culture nurtured by ethnic communities and a stunning karst plateau geopark, a member of the UNESCO Global Geoparks Network and Asia Pacific Geoparks Network that covers the districts of Dong Van, Meo Vac, Quang Ba and Yen Minh. 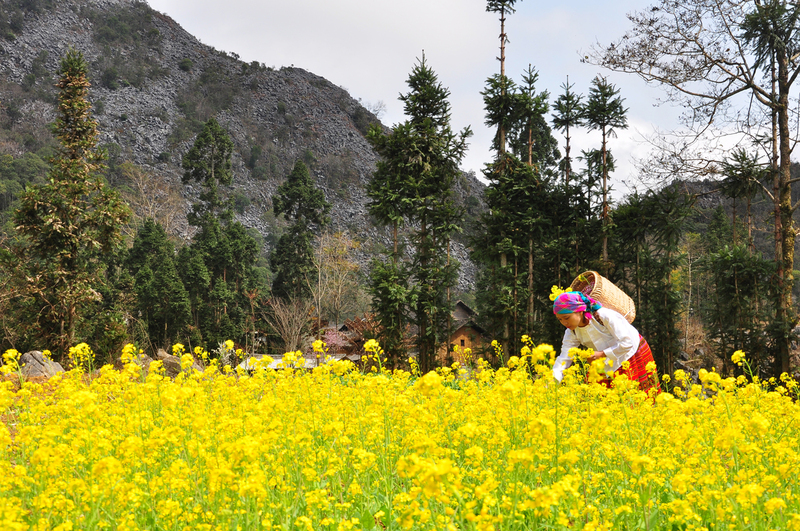 An ethnic woman picks yellow mustard flowers in Lao Xa Village, Dong Van District. 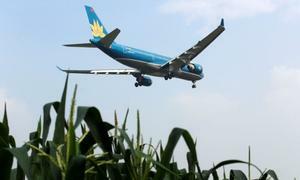 Along with cherry blossom flowers, these vast fields make visitors fall in love with Lao Xa. 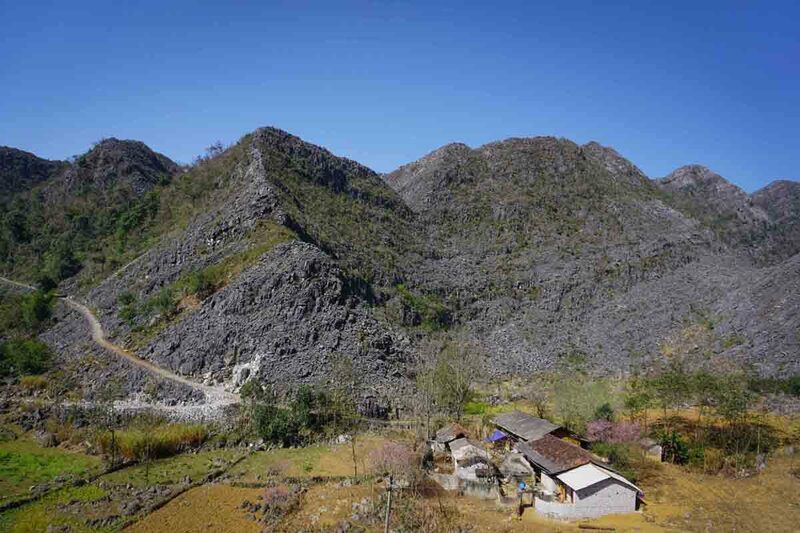 Sa Phin is a commune in Dong Van District and known for its signature stone mountains. Ethnic girls in their traditional dresses in Thai Phin Tung Commune, Dong Van. 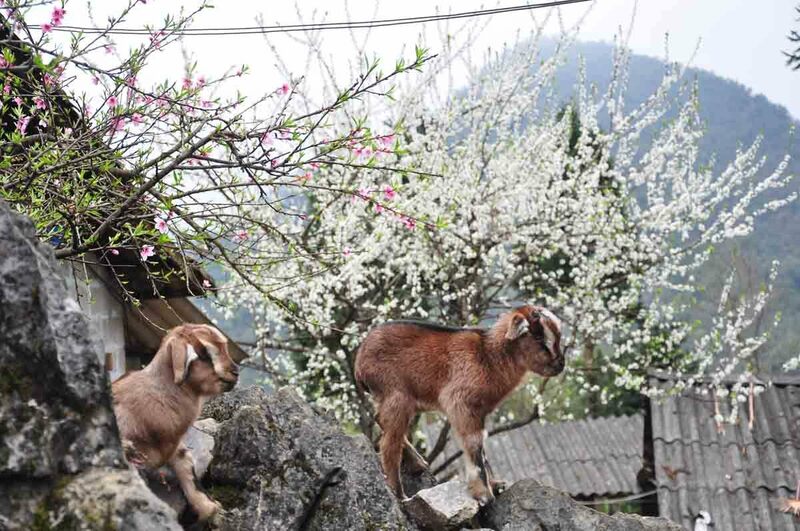 Visit in spring and you will get lost in the white and light pink plum blossoms. Sung La Commune is a sweetheart among photography lovers at Dong Van Plateau. This view looking down from Lung Cu flag tower, the northernmost point of Vietnam which also marks the border between Vietnam and China in Dong Van District. 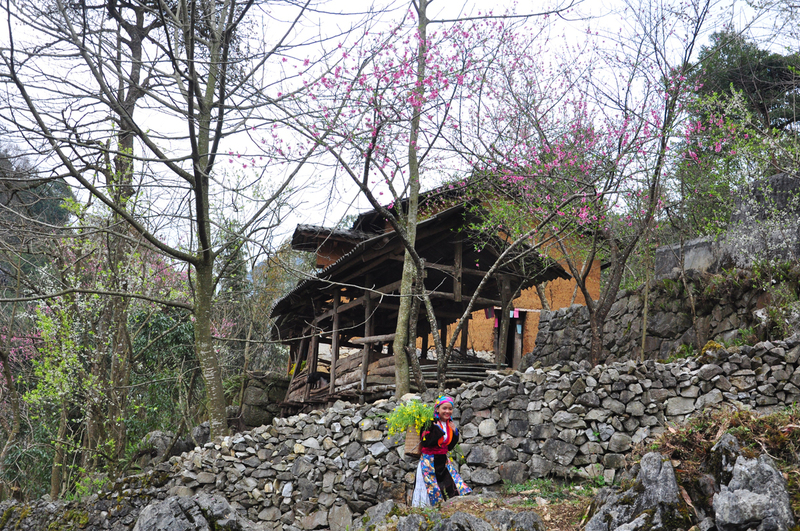 There are paths leading down to the village, named Lo Lo Chai, so feel free to take a tour there. You have to get negotiate the challenging Ma Pi Leng Pass to reach Dong Van Town. Although the pass is dangerous and scary, you will be rewarded with this showstopping view of the Nho Que River flowing below. 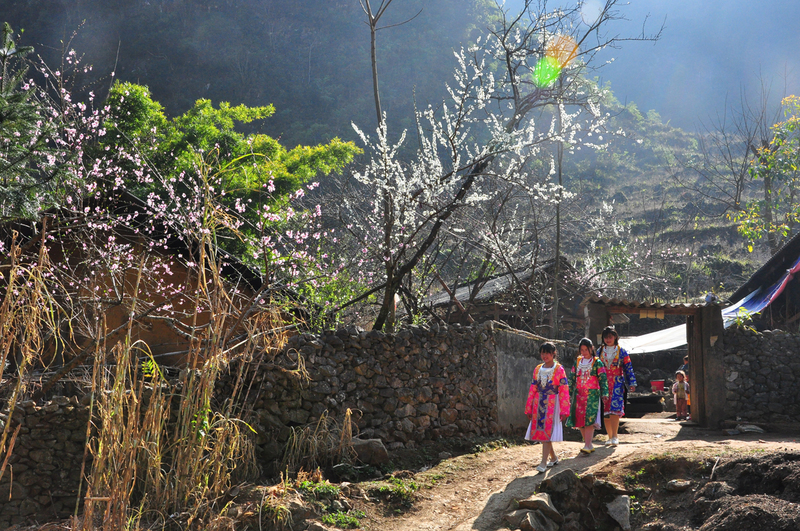 Ta Lung is a commune in Meo Vac District where you will meet many H'Mong ethnic people in their traditional costumes. 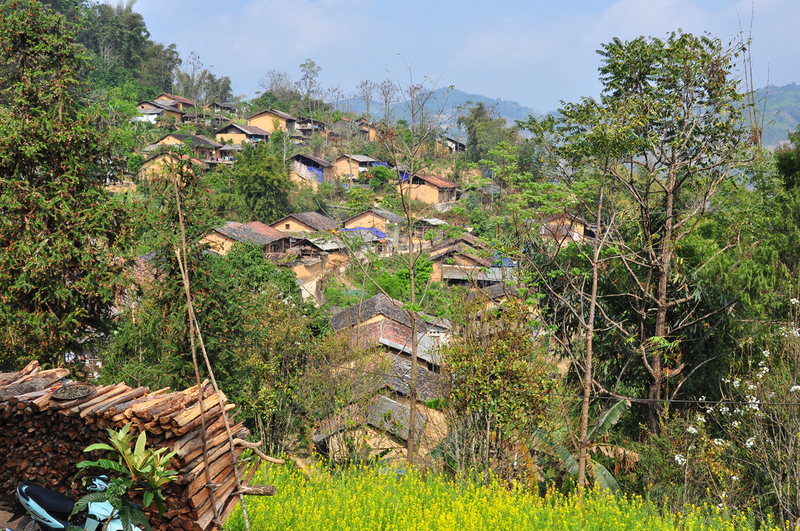 Dong Van District is home to a mixed community of Tay, Nung and H'Mong people. 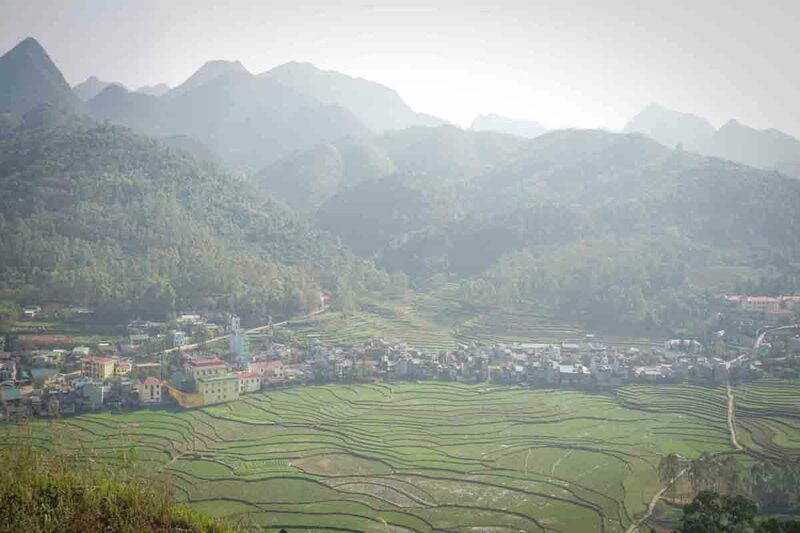 If you take a trip in April or May, you will see locals tending to their terraced fields. In September and October, the rice is ready for harvest and you will be treated to breathtaking scenes of vast yellow fields with buckwheat flowers as a bonus. Between November and January, it’s the pure white and yellow mustard flowers that enchant visitors. 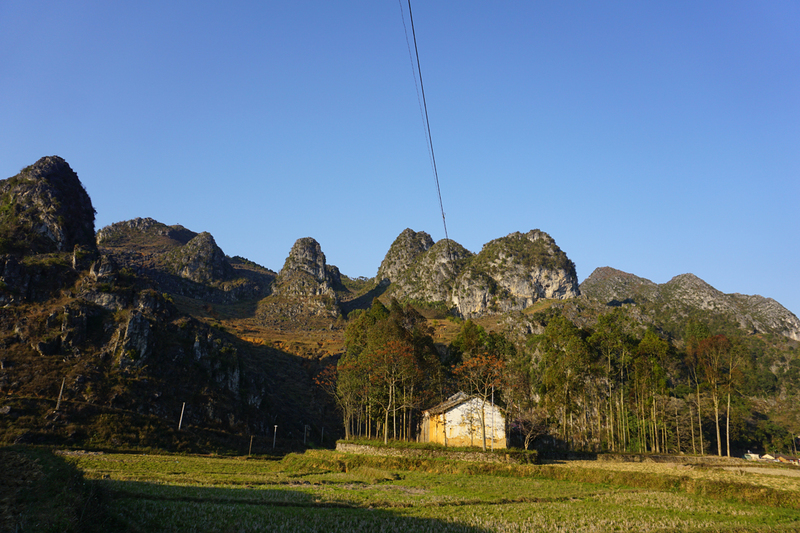 For a panoramic view of Dong Van District, climb to the top of Mount Don Cao, 1,200 meters (around 4,000 feet) above sea level, to a military post that was originally built by the French. The area has been left largely untouched and is only visited occasionally by those seeking a bird's-eye view of Dong Van.